The manufacturing of Portland cement was started in England around 1825. Belgium and Germany started the cement industries in 1855. America started the same in 1872 while India started in 1904. The first cement factory in India was installed in Tamil Nadu in 1904 by South India Industry Limited and then onwards a number of factories manufacturing cement were started. India is the second largest producer of cement in the world after China. India is followed by Indonesia, Iran, United States, Brazil, Turkey, Russia, Vietnam & Japan. The main machinery in a cement plant comprises limestone crusher and stacker reclaimer, roller mills for grinding, coal crushers, packers, pollution control equipment, belt conveyers, etc. It is a fact that the cement industry is a major consumer of the energy using 1.5 percent of the world-fuel and about 2 percent of electricity produced globally. Hence, the attention is paid to find out ways and means to optimize power consumption in raw materials, coal and clinker grinding. One of such development is the vertical roller mills (VRM) which allows for higher drying capacity with less consumption of power. The coal is also increasingly replaced by the groundnut husk to fire the kiln. 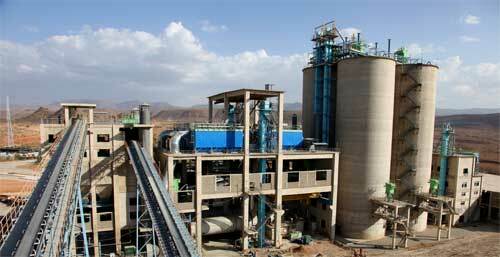 The technology for mining in the cement industry has also been improved. Instead of conventional mining, the process known as the surface mining is adopted. It is carried out without drilling, blasting, and crushing when extracting valuable minerals. The surface mining greatly reduces the vibrations, noise and dust loads. It is encouraging to note that a few cement companies have changed their philosophy from selling to marketing. The philosophy of marketing always keeps focus on the customer requirements. Some of the leading cement companies have introduced innovative methods of marketing. For instance, the companies have opened chain of office units from where free technical services are given to the customers through qualified and experienced application civil engineers. The companies also use various medias like television, radio, press, technical magazines, lecture series, seminars, etc. to educate the masses. Such a trend has brought consumer awareness to use right cement for right end application.